Maybe it’s my patriotic nature or maybe it’s just that I love summer and all the food that comes along with it. The 4th of July is one of my absolute favorite holidays. Many years we have hosted parties and I start planning menus weeks in advance! And of course true to my nature, I always over do it and I end up spending like two day doing all the cooking and then we end up with tons of leftovers (that part is kind of on purpose…I love the leftovers for days!). This year we’ve had lots going on and so instead I will be helping my mom do the cooking at her house. 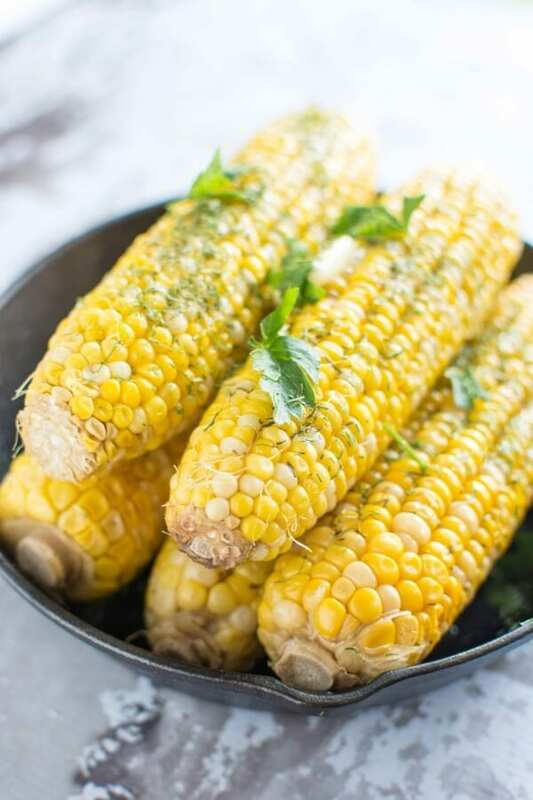 If you are in charge of either doing the cooking this year or bringing along something to share, this Slow Cooker Corn on the Cob is a super simple choice that truly captures the spirit of summer cooking! 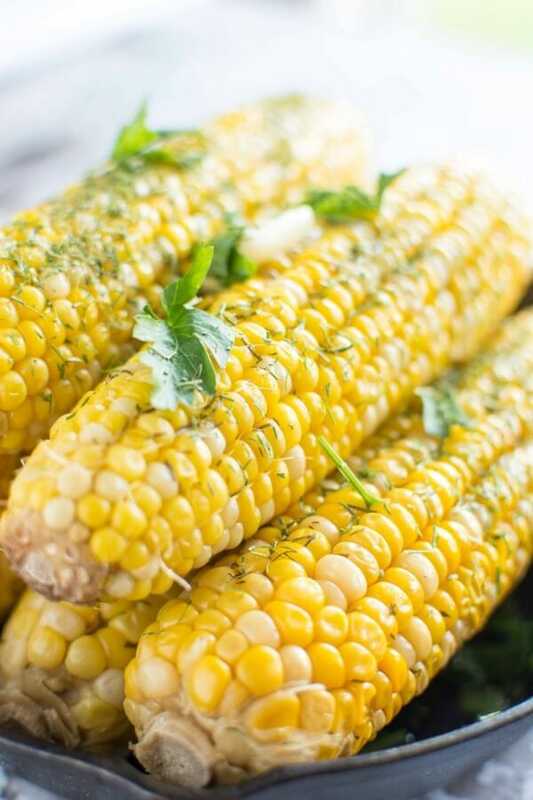 Is there anything better than that sweet crispy corn from the farm stand (or even the grocery store)? Besides cooking it up and biting into it while the melty butter dribbles down your chin! Childhood memories right there! 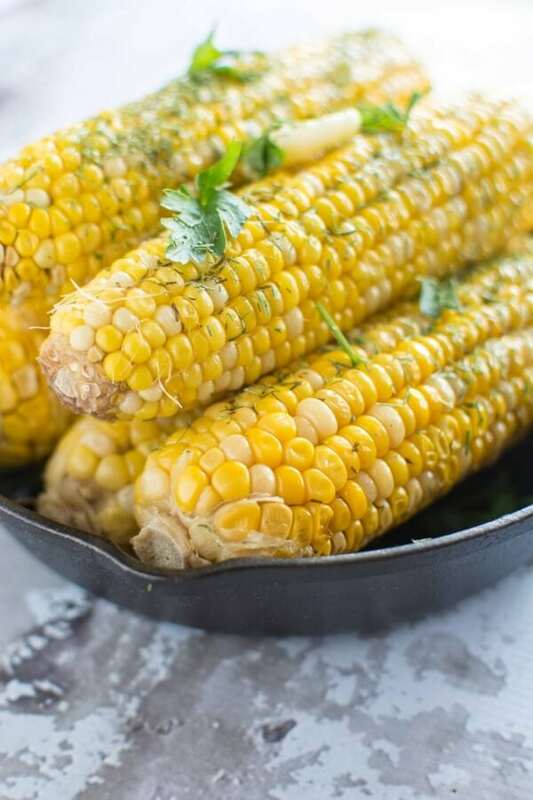 The slow cooker makes such easy work of corn on the cob. No worries about boiling water, making room on the grill or getting the timing just right. Just pop these in and set the slow cooker. Once they’re done you can leave them on warm until it’s time to eat! 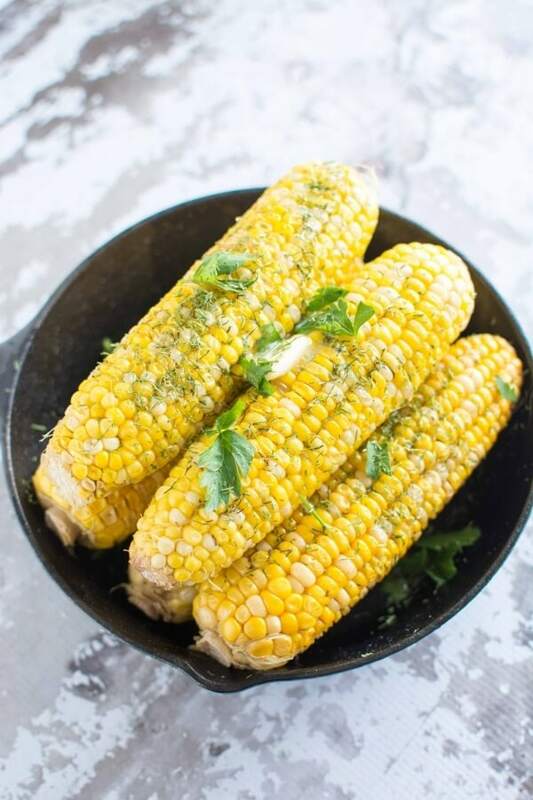 And corn with your favorite fresh herbs? Just can’t go wrong. This is your new perfect summer side for a holiday or any dinner! Too easy. What’s on your menu this summer? 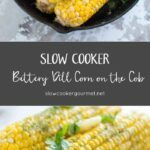 I used my 4 quart casserole crock for the corn but have also used a large 6 quart oval slow cooker as well. Sounded really good so I tried this today with six ears: in my 6qt crockpot, on low for 4 hours then shut off until time to eat. What a waste! The flavor was good but the moisture drained out of all the kernels. Neither of us could finish one ear. One star for flavor but that’s it. Ah Mary, that stinks! I’ve made this so many times and even for large crowds and it’s always turned out perfectly. I do make very sure that I have those foil packets wrapped up tight as noted so that none of the liquid or butter can escape. How long did it sit after turning off the slow cooker until dinner time? What a best idea! And I’ve never tried dill on corn but why wouldn’t it be awesome? 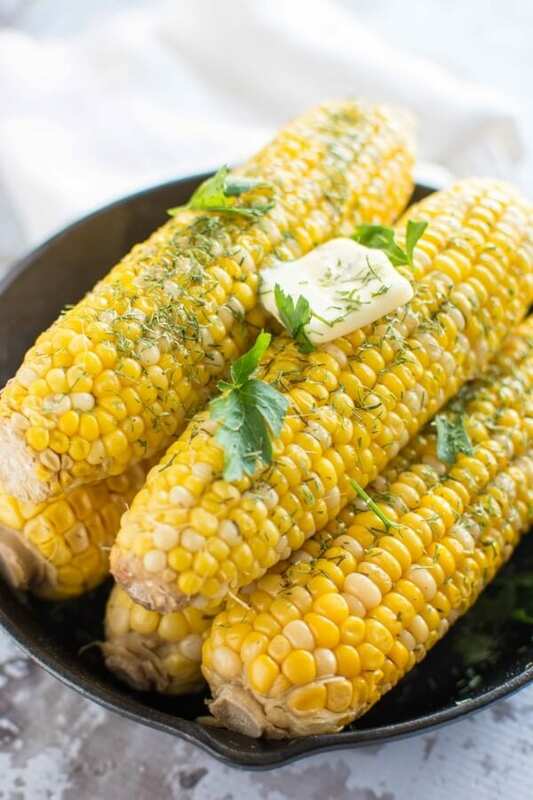 I am definitely trying this, I’m on a corn rampage these days! Lovely photos! Thanks! 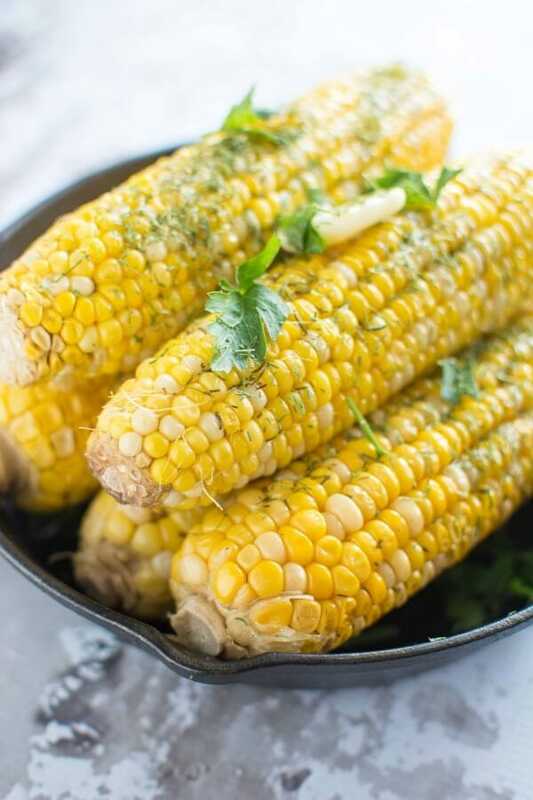 It’s definitely corn season!! Can’t get enough!